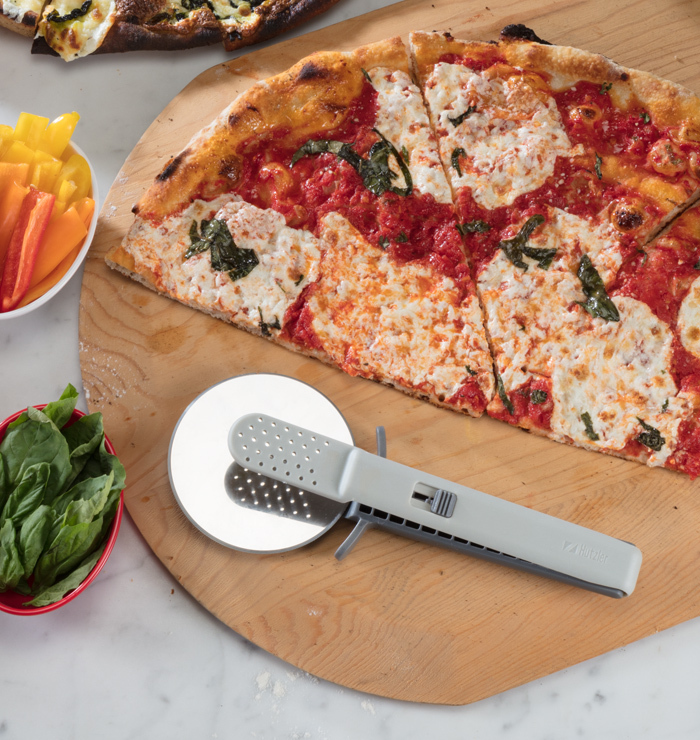 The tongs lock in place for slicing with the sharp stainless steel blade. 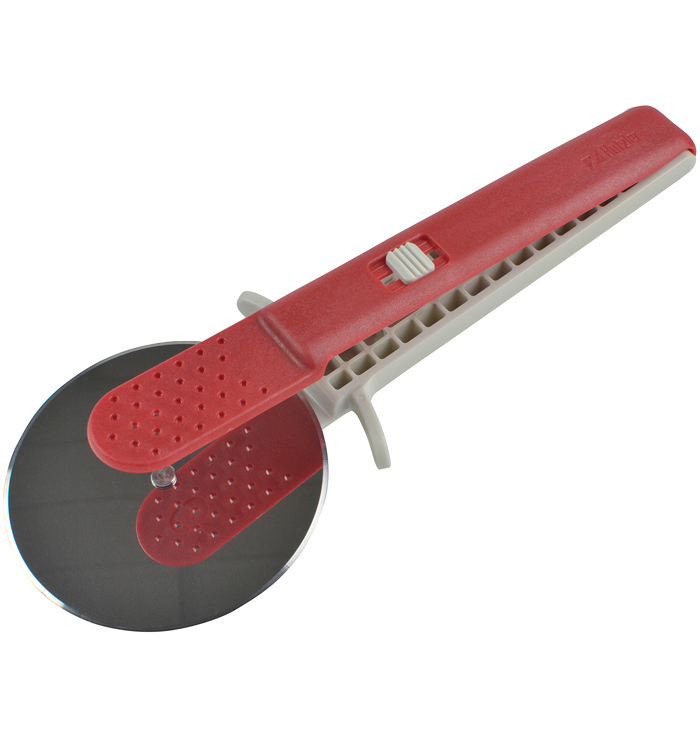 Cuts both thin and thick crusts. 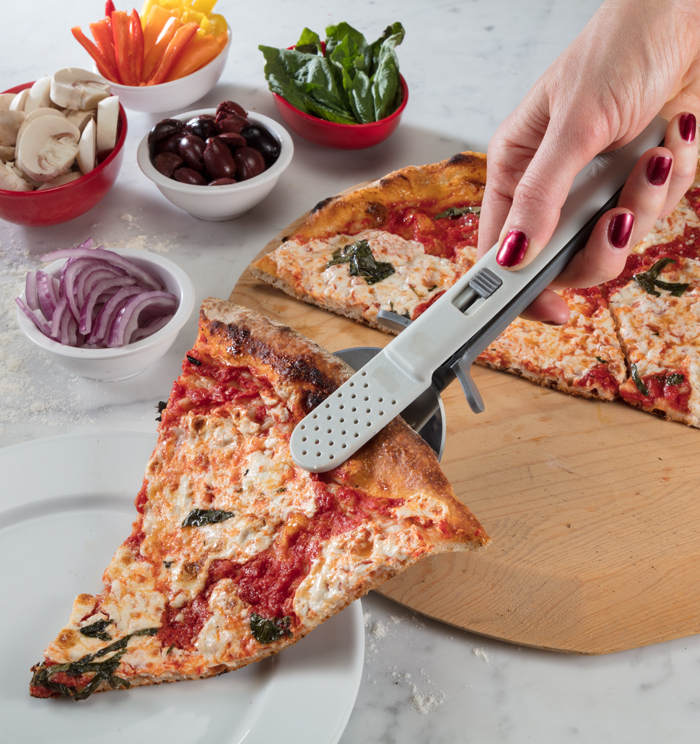 The gripping tongs unlock for serving, keeping fingers from getting burned.